“Home sweet home” is a statement that seems to soothe the minds of many hardworking individuals. After you have had a busy day at work or a busy day running errands, the only thing that you can think about while on your way home is how relaxed you will feel once you take a warm bath, and snuggle in bed or on the sofa with a great book. However, a relaxed home environment is only possible if you take the time out to properly clean your home. You should not only focus on the obvious areas that need cleaning, but you should also focus on other areas of your home, such as the cooling and heating system. A part of having a relaxing home environment is ensuring that the air you breathe in is clean and fresh. Woodland Hills is located in the beautiful county of Los Angeles, California. It is full of parks, museums and sports grounds. It’s truly a relaxing and fun-filled place, which is every homeowner's dream. But unfortunately, the air quality in Woodland Hills and its surrounding counties is not the same throughout the year. It is compromised due to polluting agents; therefore, we the staff of the Woodland Hills Residential Air Duct Cleaning Company are always ready to go the extra mile, in order to ensure that homes in the area have the best air quality possible. Believe us when we say that we are the best Residential Air Duct Cleaning Company in the area, and we are confident that you will be happy with the services that we offer. 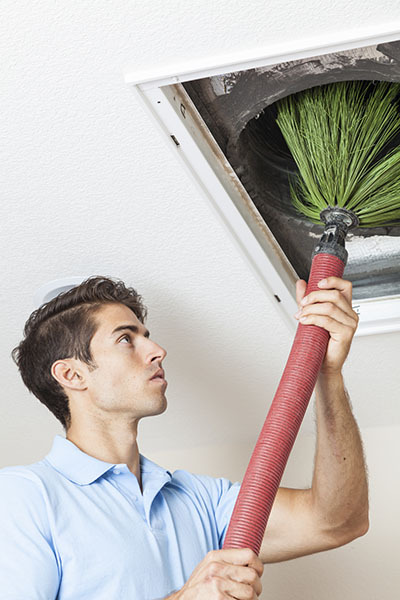 At Residential Air Duct Cleaning Woodland Hills, we use the best cleaning appliances, and the techniques we use to get your air ducts cleaned are state-of-the-art. Every member of our staff is a certified and licensed professional, and have years of experience in the field. Not only do we offer a wide range of air duct cleaning services to the residents of Woodland Hills, but our prices are also very affordable. Additionally, we don't just provide our customers with maintenance and cleaning services, but we strive to build life-long relationships with them as well. We also offer replacement of air vents, among other services, so that you and your family will be able to enjoy breathing in clean, fresh air at all times.